We completely repair/restore steering boxes for all Jeeps. 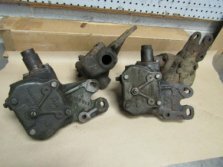 Just send in your steering box and we can rebuild it. Due to weight of item, it would be good to call us first and discuss your axle problems.